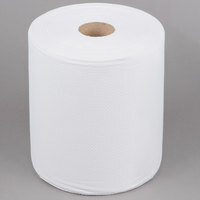 Offer guests an absorbent, soft paper towel with this Merfin 8400 1-Ply center pull Airlaid paper towel 400' roll. 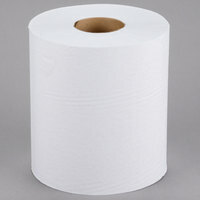 This center pull paper towel is a premium, absorbent paper towel that will impress even the most discriminating patron! It features a thick, cloth-like texture thanks to its innovative Airlaid manufacturing process. 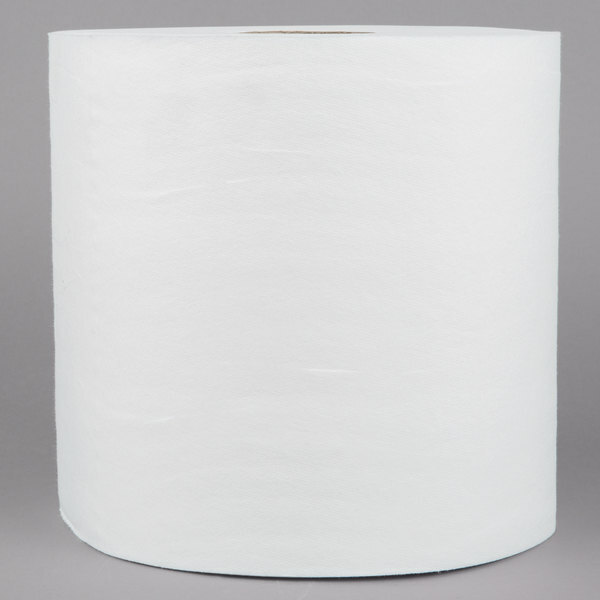 With an embossed and perforated design, this 1-ply paper towel is soft to the touch and can be used in a variety of settings. "We use these in one of our clients bathrooms. They are high quality and last a lot longer than one of the cheaper options we used to buy. 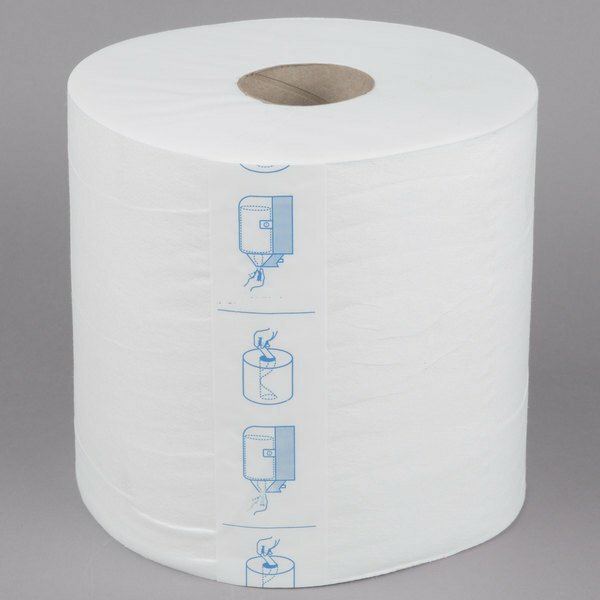 If you have center pull bathroom dispensers these are a quality choice." 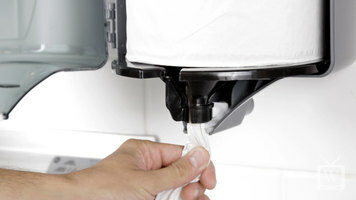 Center pull towels are a cost-effective and sanitary alternative to electric hands-free dispensers since you only touch the towel you're using. You can use these paper towels in restrooms, locker rooms, kitchens, break rooms, or even janitorial closets. 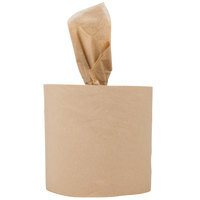 Airlaid paper towels are made by converting soft, random-laid fibers made from wood pulp or synthetic fibers into a sturdy and absorbent web, using air instead of water to transfer the fibers. Synthetic resin bonding agents are then applied to the pulp web with a spray process. The air space created in manufacturing the web accounts for its light weight in comparison to its bulk. 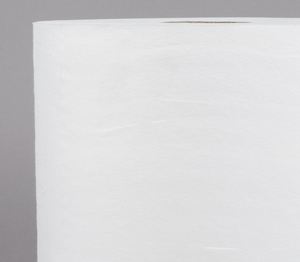 Learn how to quickly and easily replace a center pull paper towel roll! 3. Twist ring at bottom of dispenser. 4. 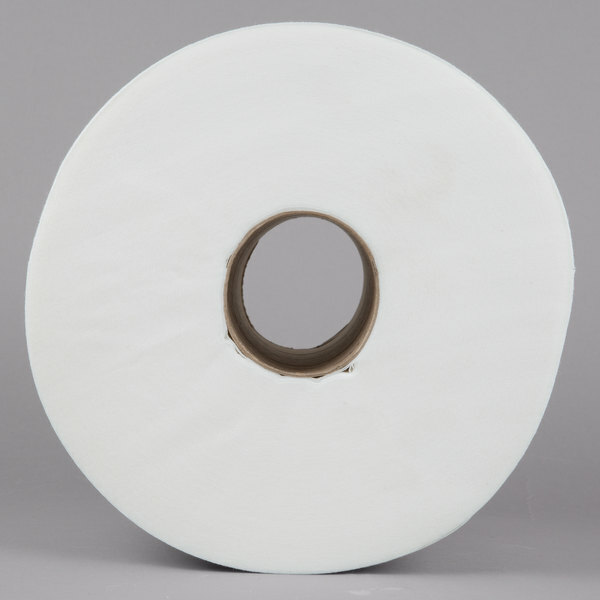 Find the perforation and remove the inner roll by tearing the perforation and pulling. 5. Pull out a little bit of paper. 6. 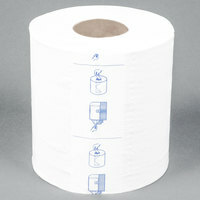 Place new roll in the dispenser. 7. Pull the little bit of paper down through the hole. 10. Return key to storage hook. We use these in one of our clients bathrooms. They are high quality and last a lot longer than one of the cheaper options we used to buy. If you have center pull bathroom dispensers these are a quality choice. These towels are so easy to use. You just pull and they easy rip off the roll. They are durable and can be used for more than just drying your hands.